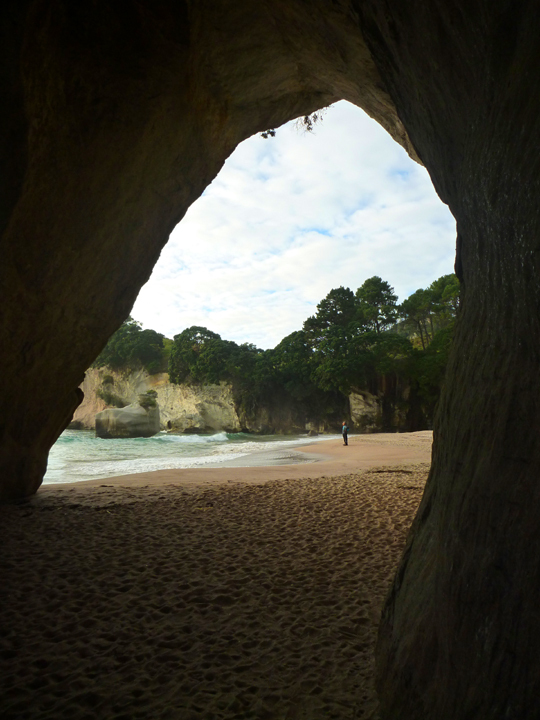 You’re never far from a spectacular beach in New Zealand. 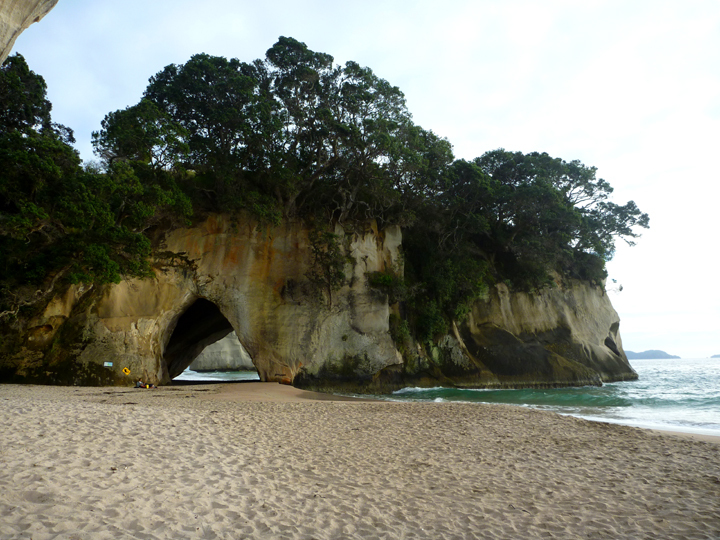 Our next few stops, as we began our tour of the Coromandel Peninsula, were exemplary. 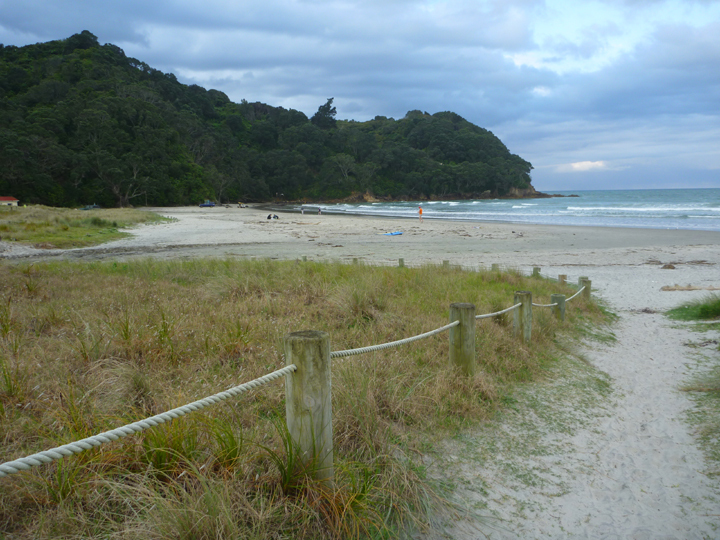 Waihi Beach and more free seaside camping. 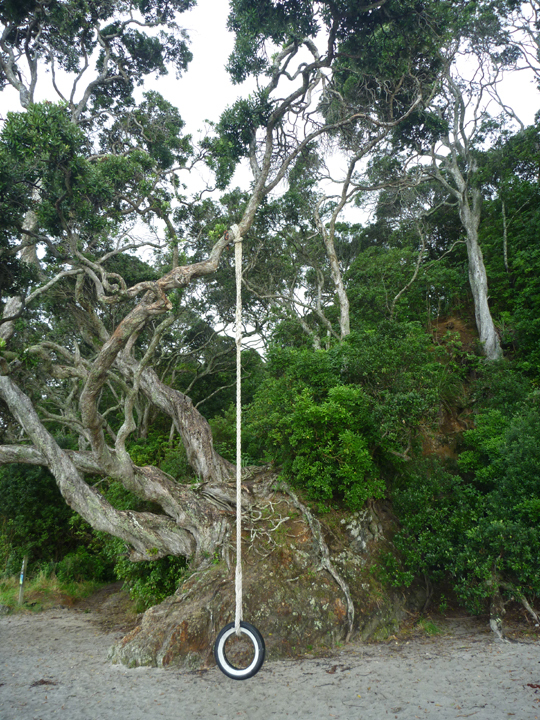 Kiwi swing-set on a Pohutukawa tree. 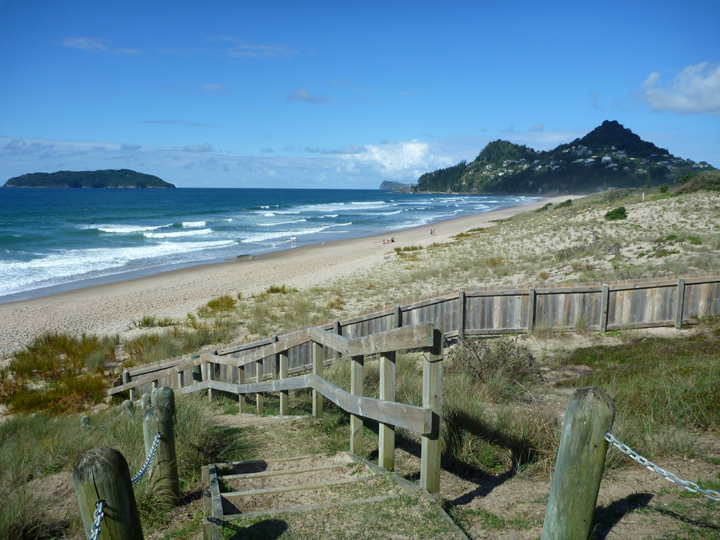 Tairua Beach where we watched surfers while having lunch. 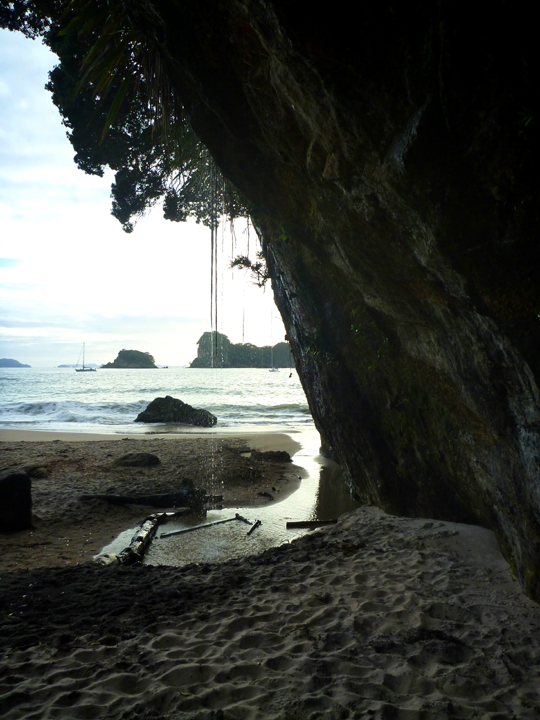 One of the must-see sights on the Coromandel is Hot Water Beach where underground geothermal fissures create boiling hot water that bubbles through the golden sand at low tide. 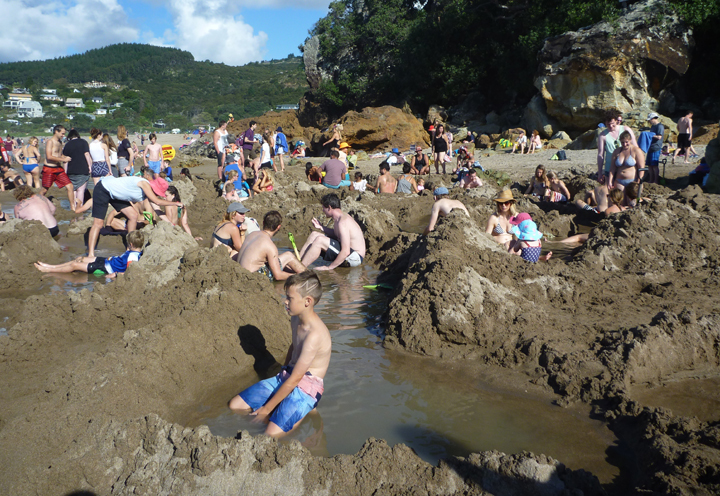 Visitors dig their own spa pool in the sand and relax in the natural springs… a truly unique Kiwi experience. 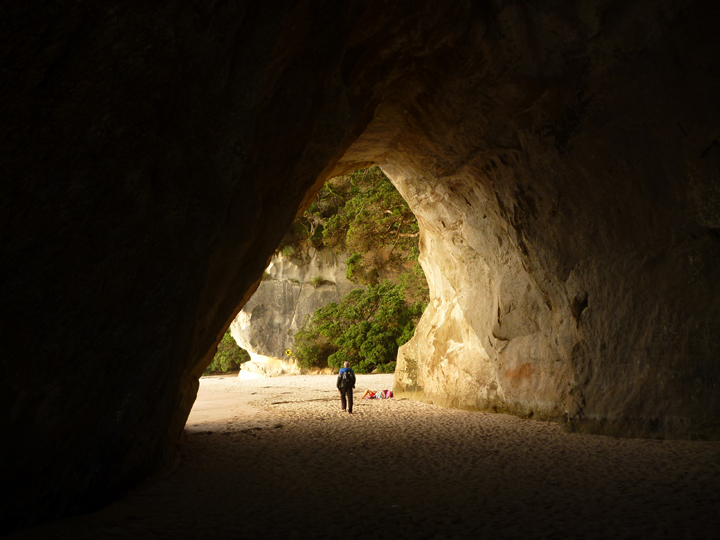 It all sounded a bit silly to us, but we went anyway. It is REALLY hot in this area. 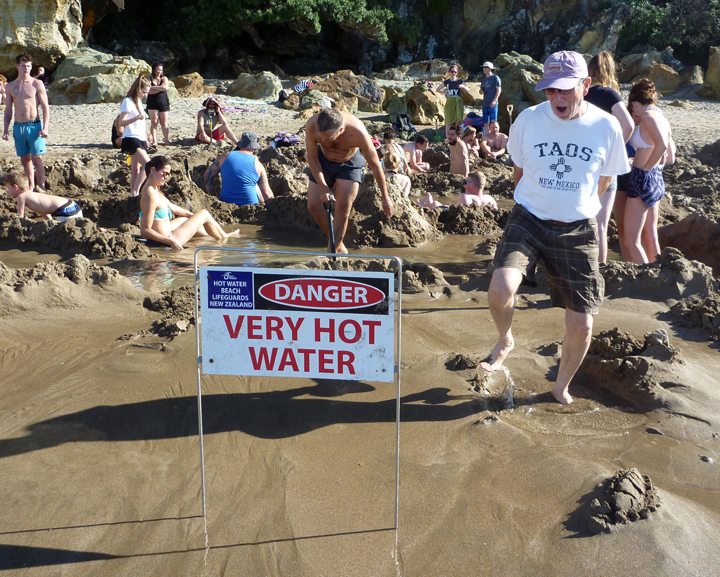 You can’t stand in it for more than a few seconds. 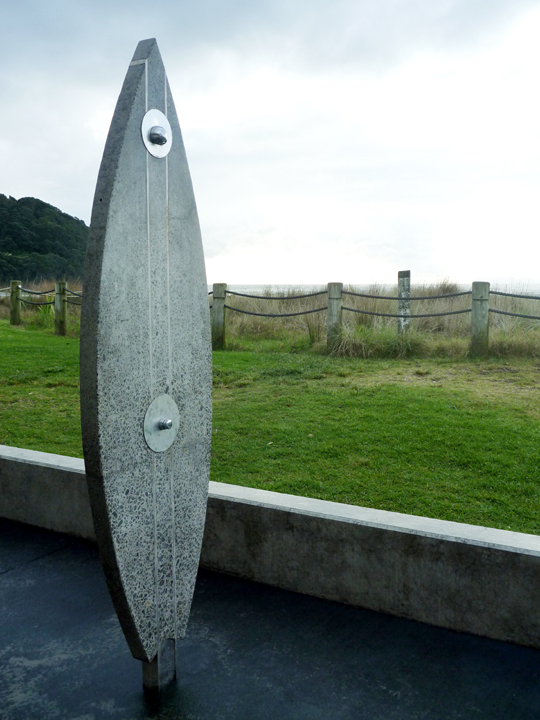 This remarkable attraction definitely draws a crowd. 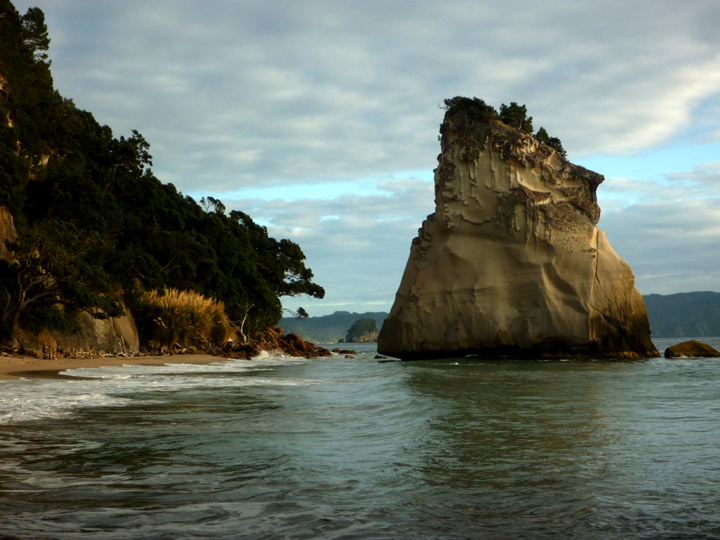 Not far up the road from Hot Water Beach is another “must do” – the Cathedral Cove Walk. 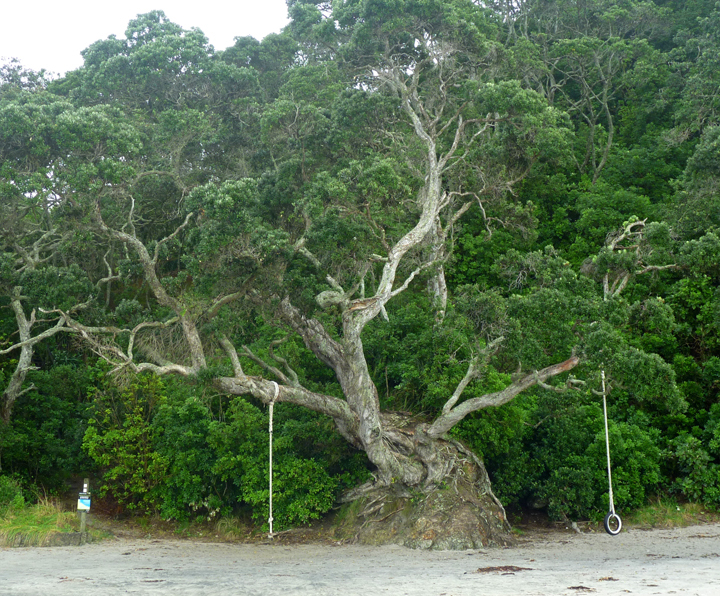 We read that it is best to visit this east facing beach in the morning, so we camped overnight in the parking lot at the head of the hiking trail. 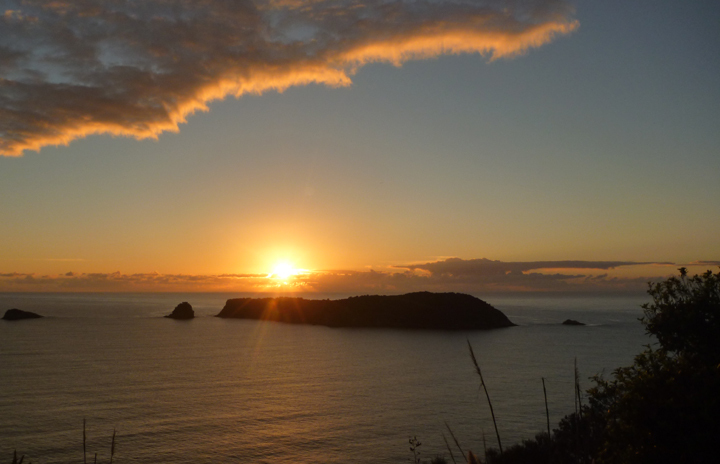 Back light from the sunset, which occurred behind a hill to the left. We got up early to hit the trail before the crowds. This nice sunrise was a bonus. 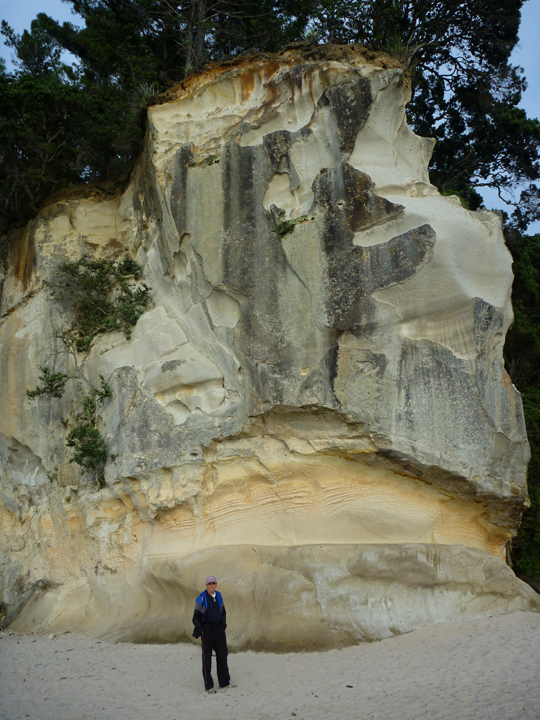 45 minutes later we arrived at Cathedral Cove. I’ll let the next few photos speak for themselves. 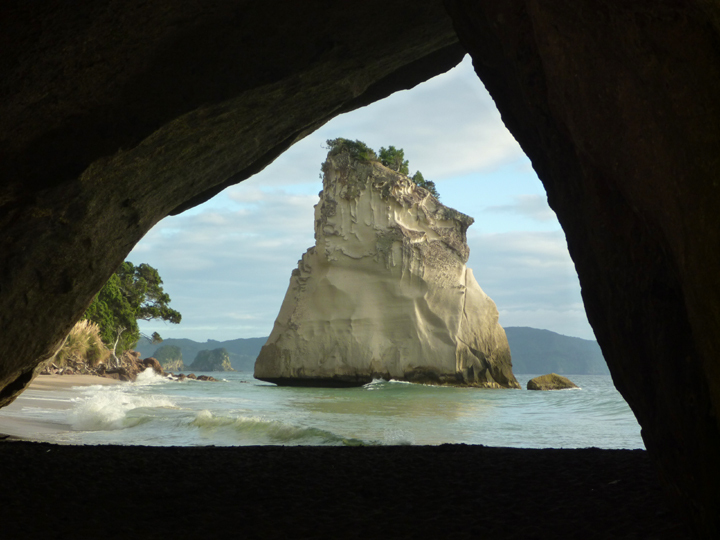 It is easy to see why it’s called Cathedral Cove. Loving sharing this journey with you!! 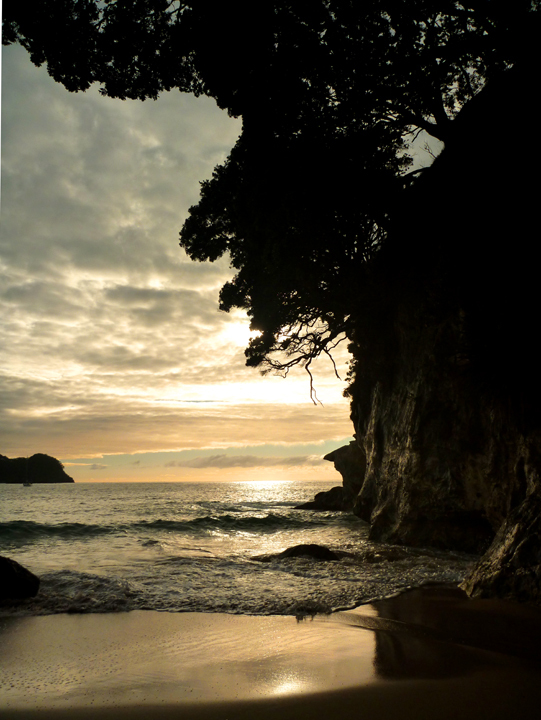 Love the sunset photos, the cool beaches, the awesome p-tree with swings. 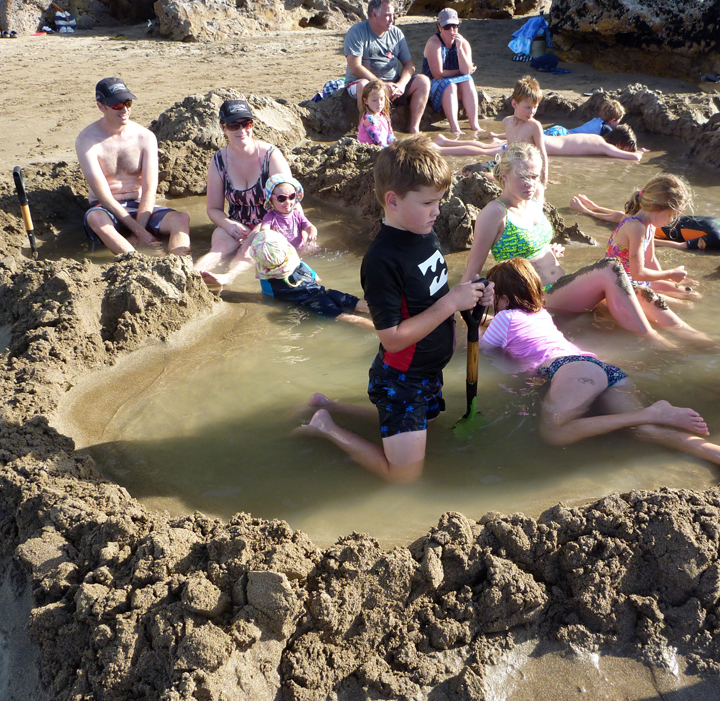 The hot natural springs through the sand at low tide are amazing!